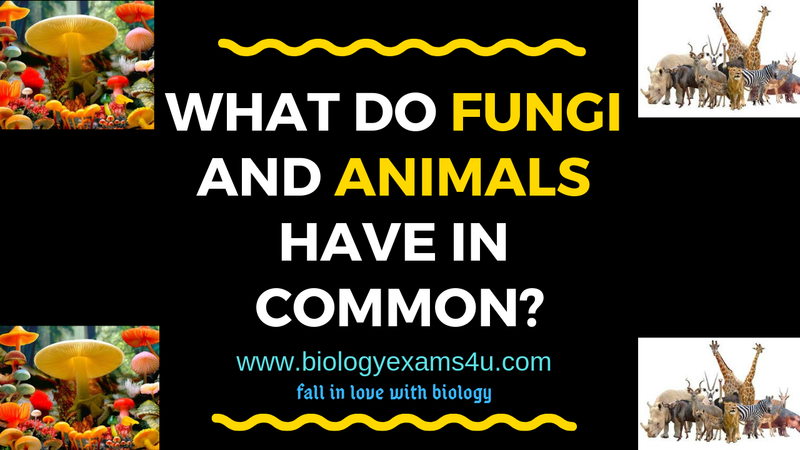 What do Fungi and Animals have in Common? 5. Both are having chitin; cell wall of fungus is primarily made up of chitin whereas in some animals, chitin is present in the exoskeletal structures of insects, spiders and crustaceans.